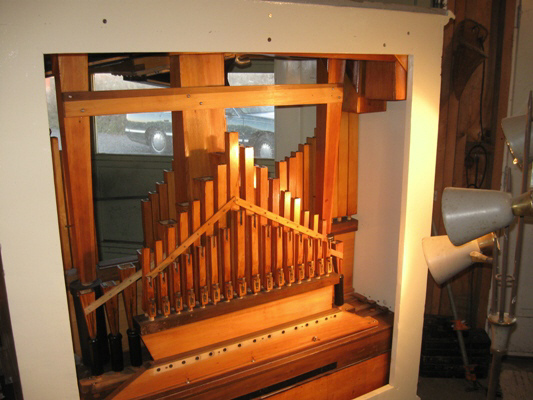 The two pneumatics simulate a very effective drum roll for the band organs they play along with. 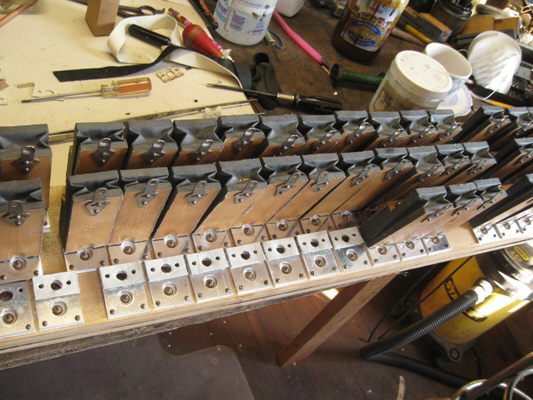 This is an early 65 note push up player stack during reassembly. 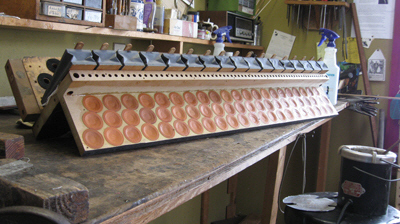 The completed player stack. 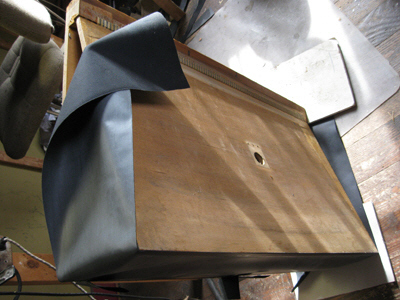 Note that the action has double valves and is a four tier design. 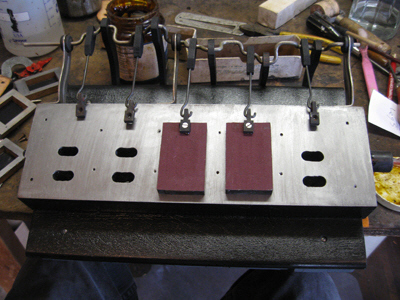 An Autopiano brand tracking pneumatic valve block. 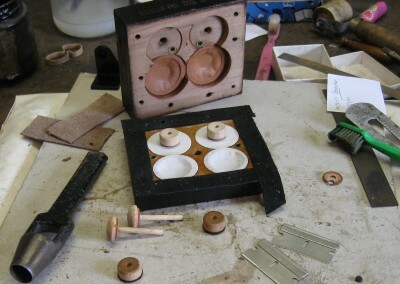 Here is an uncommon player action with a unique valve design. 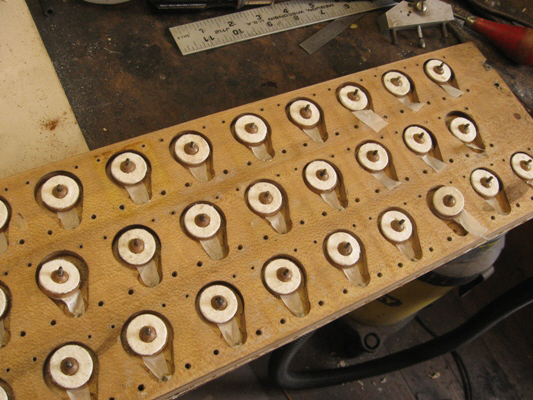 The valves are held in their proper orientation in the valve wells with “Zephyr skin” tabs. 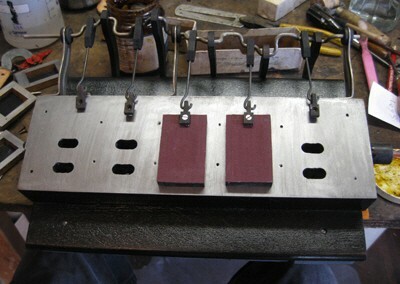 Here are the pneumatics and valve plates on the Artemis/ Steger player action. 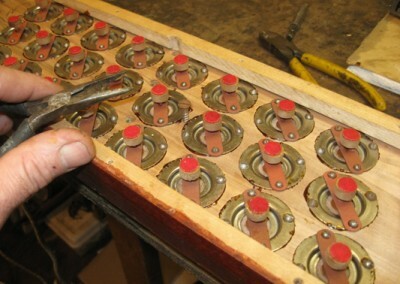 The Valve plates are made of Aluminum and the individual note pneumatics are screwed to the valve board. 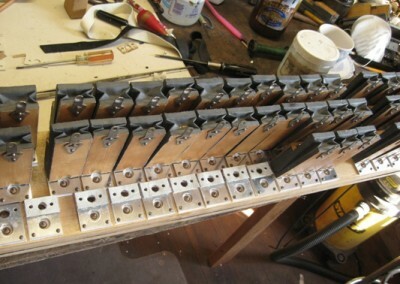 Here’s something unique. 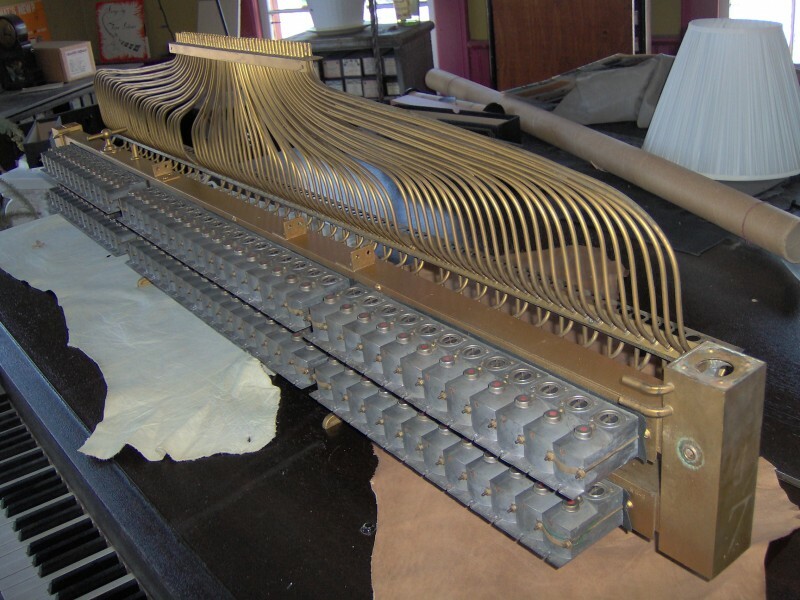 This action is part of an Air-O-Player player piano. 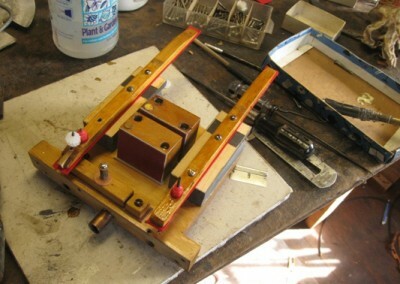 The metal valve units and metal construction of the player “stack” is quite unique. 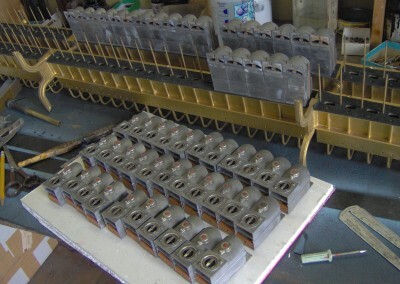 Here is another view of the stack with all of the metal valve units installed. 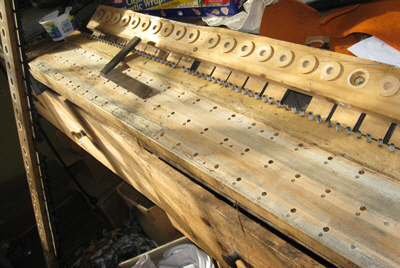 The loom to the tracker bar secured to the base section in this view is made of brass. 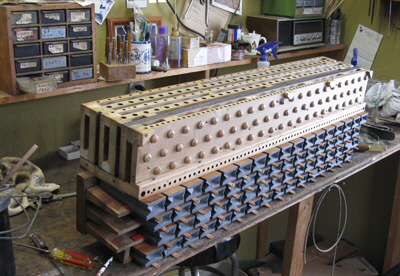 An expression valve box from an Amphion brand player piano. 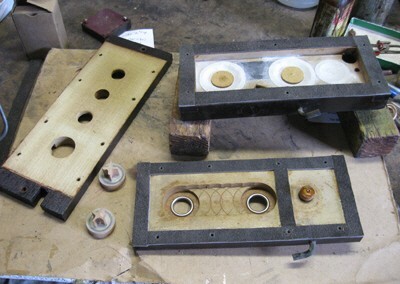 Another look at a reed organ bellows set. 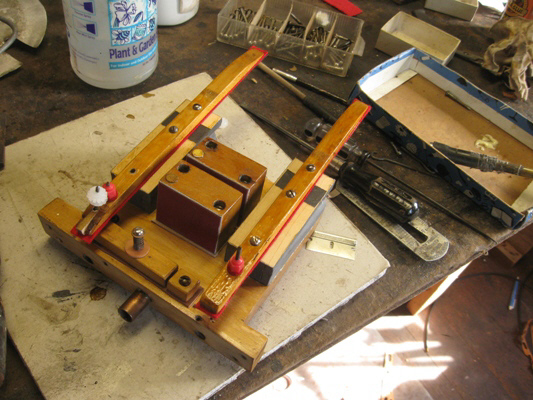 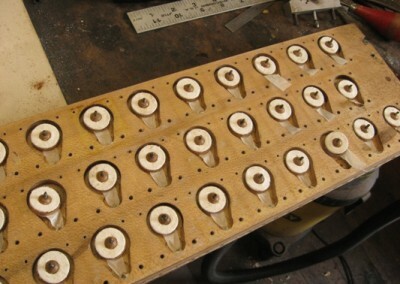 Gulbransen used a gluing technique to bond their player actions together that can prove to be quite a challenge to player piano rebuilders. In this view the glued tier boards have been removed in the first phase of the rebuilding process. 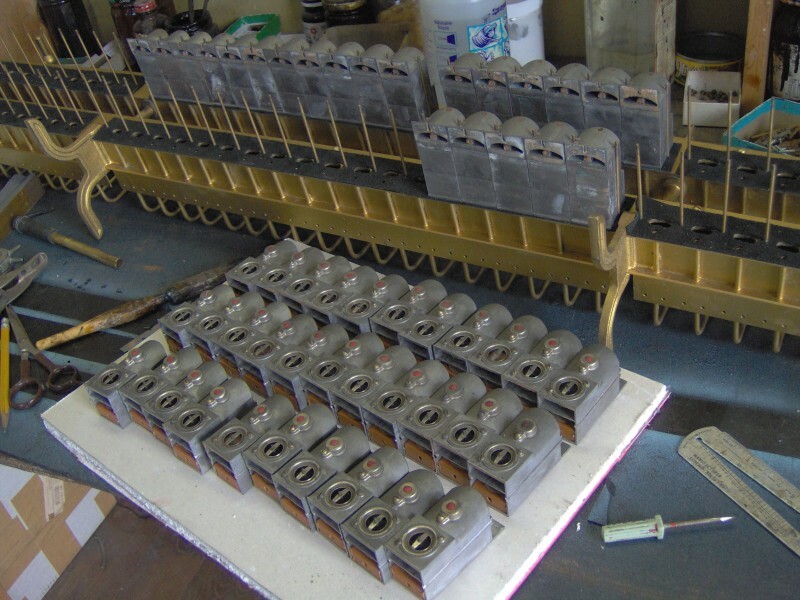 Autopiano made a product of outstanding quality and the actions are a pleasure to rebuild. 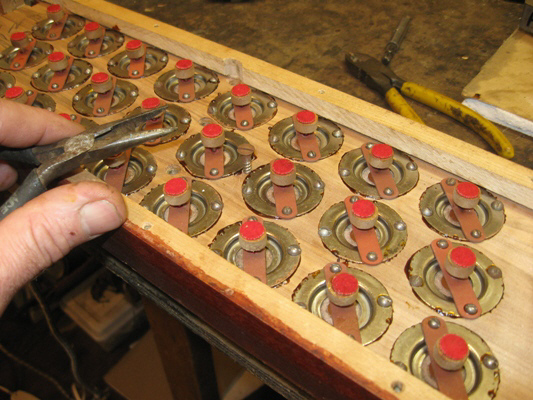 In this view the valves have been re-installed and I am adjusting the threaded valve stems. 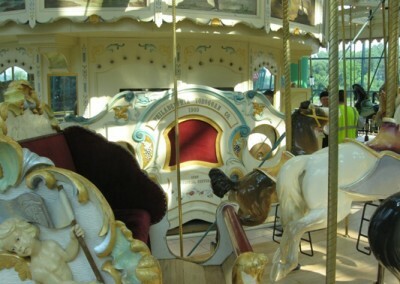 Here is the band organ at the Carousel Center in Syracuse New York as it appeared in July of 2011. 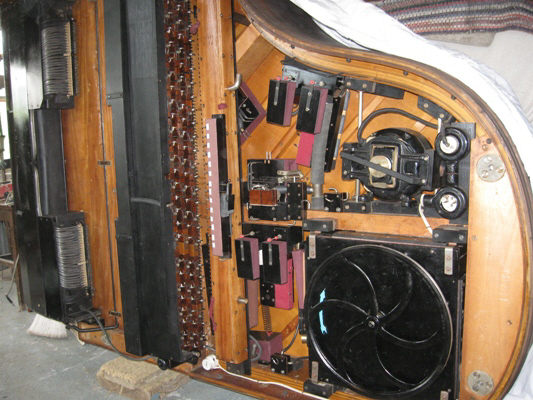 The organ was then rebuilt for service as it had sat unused for a number of years. 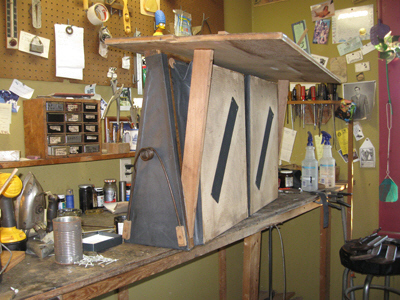 Here is the organ is the shop during reassembly. 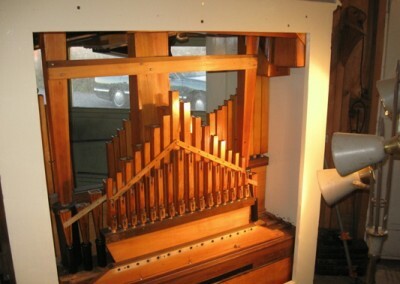 The organ was put back into service in December of 2011. This piano has some really marvelous carving. 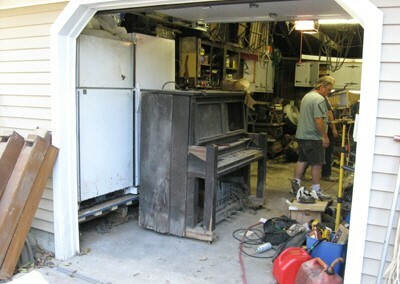 The piano was sold at the Marquis Auction Gallery of Earlville, NY. 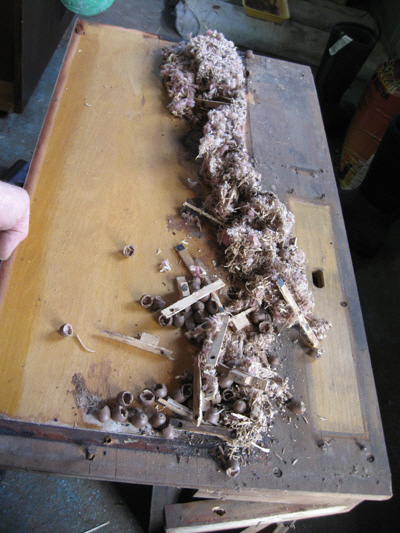 Here’s a view of the inside of the player action of an Aeolian player reed organ that the mice had their way with. 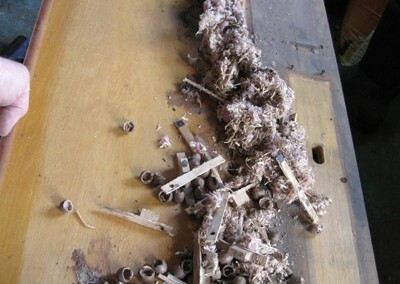 Maybe Coco should have been on the job in the house where this organ lived! 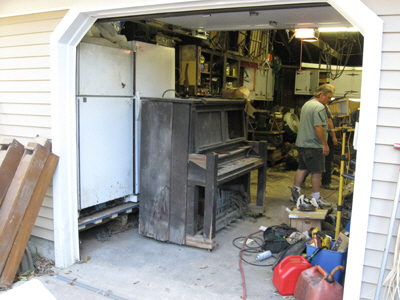 This is what we found when we went to pick up a Reproduco player piano in Connecticut. 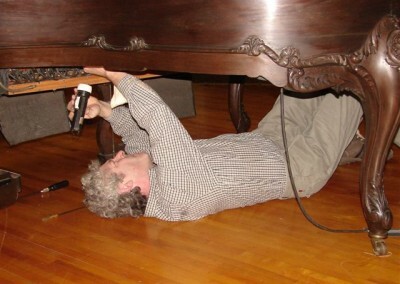 There had been a flood there some years back and the piano was beyond repair. 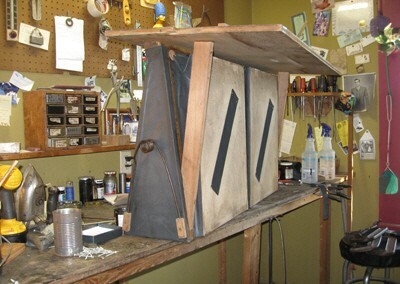 Interestingly, the Pratt-Read company plant was just around the corner from the house. Here is the underside view of an “Ampico” brand player action. 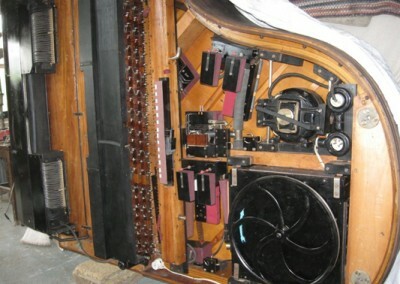 The American Piano Company produced this extremely capable reproducing player action until 1941. 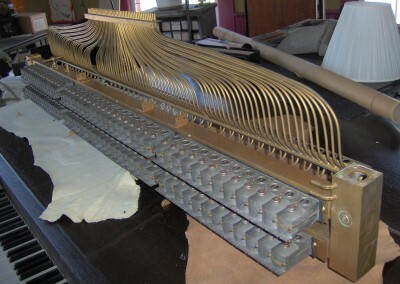 The tubing connections have not yet been installed to give a clear view of the action components and their typical arrangement in a grand piano.